The current price is 7700 Euro. 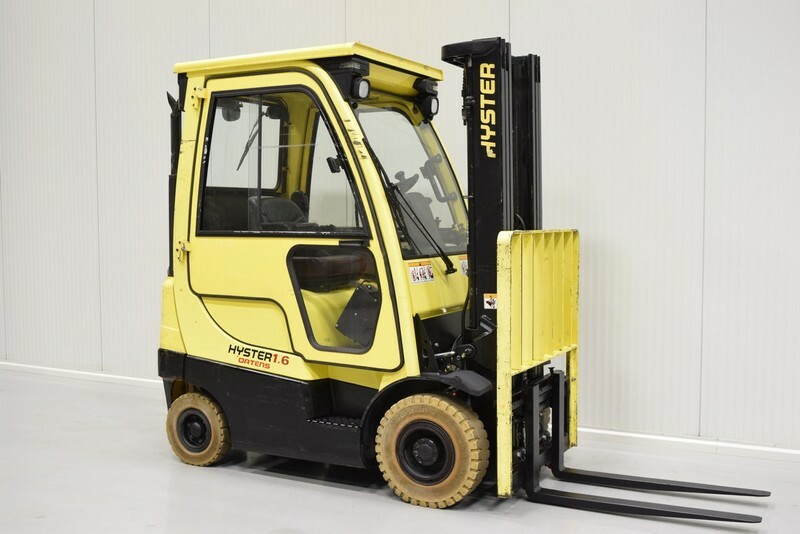 Check the technical data of the unit, picked out from the catalog of HYSTER 4-wheel front forklift. The year of production is 2007. Engine details/gearing and fuel type: LPG. Wheel formula and suspension type: front tires: solid, rear tires: solid. Cab comforts include additional lights. Transport dimensions: length – 2220, width – 1080, height – 2180. The lifting capacity is 1600 kg. Additional equipment: TRIPLEX with free lift, side-shift, cabin, working lights, forks: 1000 mm, 3-ventil distributor, tires solid - nonmarking. The parking site is in 561 61 Červená Voda 298, Czech Republic, Czech Republic.